Here’s one of the better skyline angles you probably won’t see. Credit goes to my wife for showing me this “mystery” spot. I’m betting in the summertime you couldn’t see much from here. 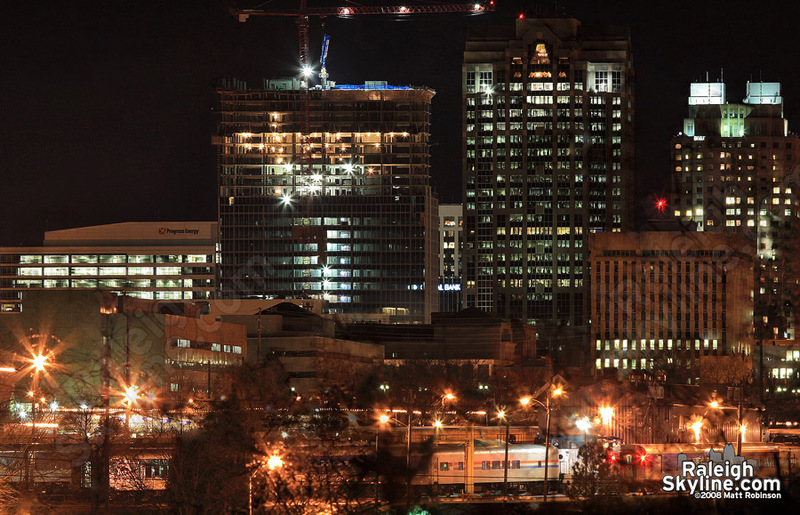 It’s not often you can include the Archdale Building in an image of the Raleigh skyline. I tried to digitally remove a great amount of tree branches that obscured the view. This teaser of a vantage point conjures thought on what kind of views could be had if we had less tall trees in this area. 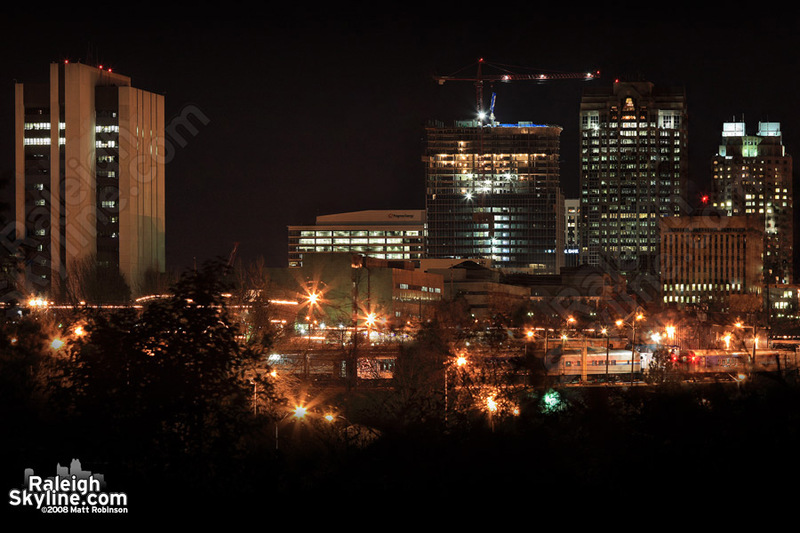 It is a challenge to find many unique compositions due to the moderate null of our buildings in Raleigh and the city’s surrounding terrain.